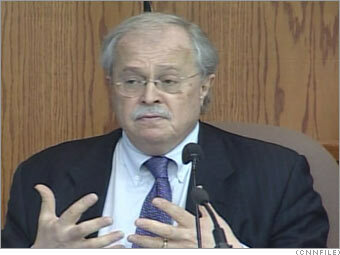 Dr. Michael Baden, a distinguished pathologist and former chief medical examiner of New York City. Testify what you're paid to. $$: Usually an hourly rate that includes waiting time in court. But the value comes from potential results. For, say, a psychiatrist hired to exonerate an ax murderer, the fee of several thousand dollars per day would not be unthinkable. The upside: A good, solid living not based on the vagaries of an actual career in your chosen profession. The downside: Bad guys get off. Oh well, that's our legal system! The dark side: Bad guy gets off and comes to your house to say thank you.